Cars & Coffee Brisbane is on again Saturday the 3rd of March. Please join us in your pride and joy. 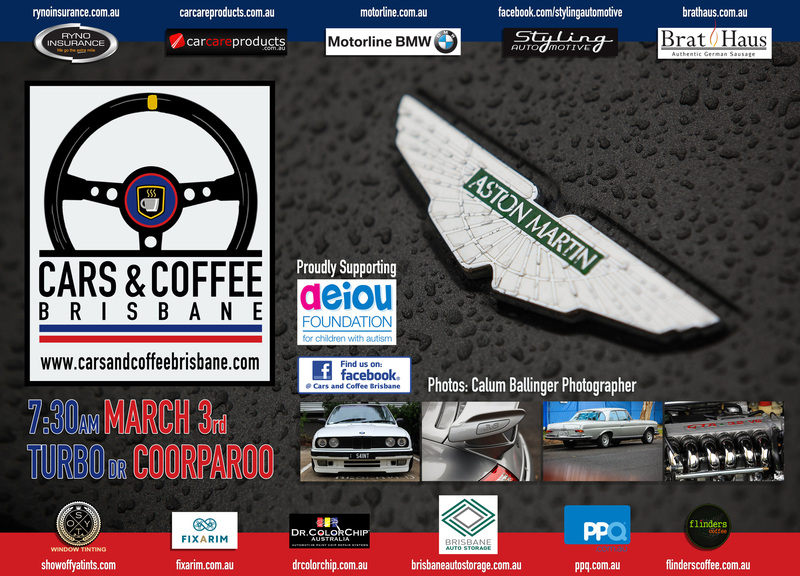 We would like to thank our ongoing sponsors Dr ColorChip Australia, Styling Automotive, Show off ya Tints, Ryno Insurance Services Pty Ltd, Car Care Products, Flinders Coffee, Motorline BMW, Fixarim Pty Ltd, PPQ Personalised Plates Queensland& The Bratmobile. This month we welcome Brisbane Auto Storage (www.brisbaneautostorage.com.au). If your company would like to sponsor C&C in 2018, please message us.